AND AT VERY REASONABLE OVERALL COSTS OF JUST 2-3 LACS FOR THE ENTIRE FAMILY. I BELIEVE NO ONE SHOULD MISS THE SAME, IF YOU HAVE YOUR IELTS SCORES READY, IT WILL BE VERY FAST PROCEDURE. OM International has the privilege to share this information among the people and spread it to mass so that max. people takes the advantage of this unique migration opportunity. First official way is to apply in Express Entry - Stay in the POOL - Draw for Invitations in every 15 days - Points Cut-off decided by Govt. based on the no. of people in the pool - Last cut off is 450 points - which is NOT easy to score - approx. 50000 people are already in pool - as there is no occupation list for the same. Now guys, everything is described above and email (omvishal.shah@gmail.com) / Call us +9227656606/09/16 to get the full details of all three options for migrating to Canada...go through the same peacefully and discuss with your family and come to us with your queries, so that we can help you to migrate to CANADA easily. 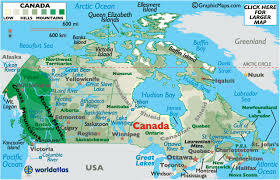 Please click on the link below to know more about this Canadian PR option for you. Open from 21st September 2015. Canada PR - Only 1000 position open...Call NOW. Ph: 9227656606/10/16 / 9824163366 :vishal.shah@omvisas.in Office :+91-265 2480840/ 2464164. Occupation in Demand : Construction Managers, All Engineers, Biological Technologists, Agricultural Inspectors / Supervisors, Construction Estimators, Software Engineers, Computer Programmers, Interactive Media Developers, Mathematicians, Drafting Technicians, Computer Network Technicians, UNIVERSITY PROFESSORS & LECTURERS, Business Development Officers, Marketing Researchers & Consultants, Technical Sales Specialists, Wholesale traders, TRADES : Contractors & Supervisors, Construction trades, Machinists, Tool & Die Maker, A.C Mechanics, ALL Electrician, Metal Workers & Fabricators, Fitters, Welders, Plumbers, Tile settlers, Painters, Heavy Equipment Trades / Operators, Motor Mechanics, Oil & Gas Well Drillers, Supervisors, Petroleum, Gas & Chemical Processing and Utilities.